"Who will survive and what will be left of them?"Watch! Lugnet´s Grindhouse Exploitation Double Feature "All The Way" and "It Ain´t Easy" ! A Double feature that´ll tear you in two! 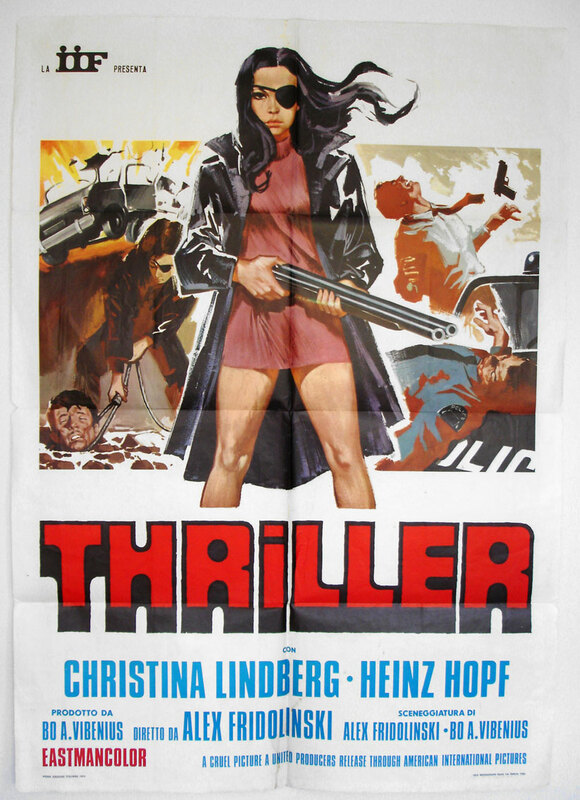 Starring Tarantino´s favorite 70´s icon/actress Christina Lindberg! Christina Lindberg achieved her most enduring cult cinema fame with her outstanding performance as Frigga, a much abused and traumatized one-eyed mute, who exacts a harsh retribution on her tormentors in the brutal and controversial revenge opus Thriller - A Cruel Picture (1974) banned by the Swedish film censorship board. Quentin Tarantino and Daryl Hannah on the "Kill Bill" set.